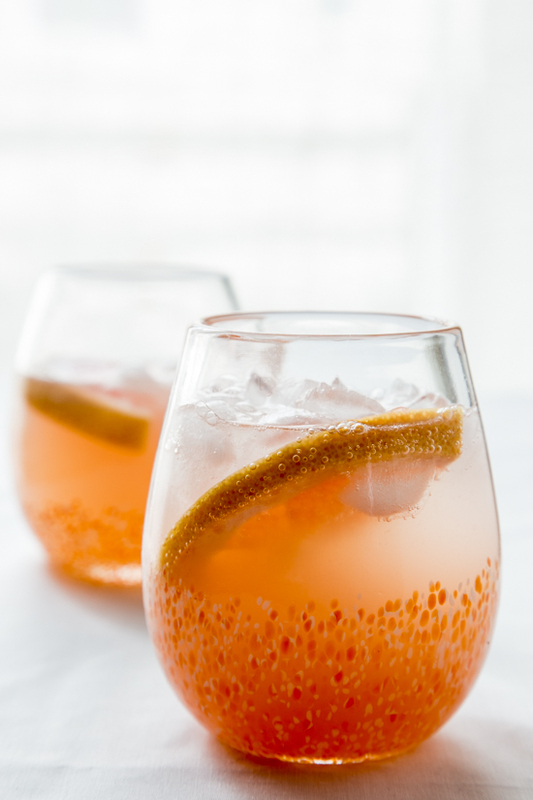 Try a light and refreshing Ruby Red Grapefruit Mimosa. These Spring cocktails are perfect for any Easter or Mother’s Day brunch! I have to apologize for being a procrastinator. You see, this is a recipe that I’ve been sitting on for a while now and am just getting around to sharing it with you. I feel like I’ve let you down because this is truly one of my favorite simple cocktails. I’m just glad I’m able to share it with you before Easter weekend. 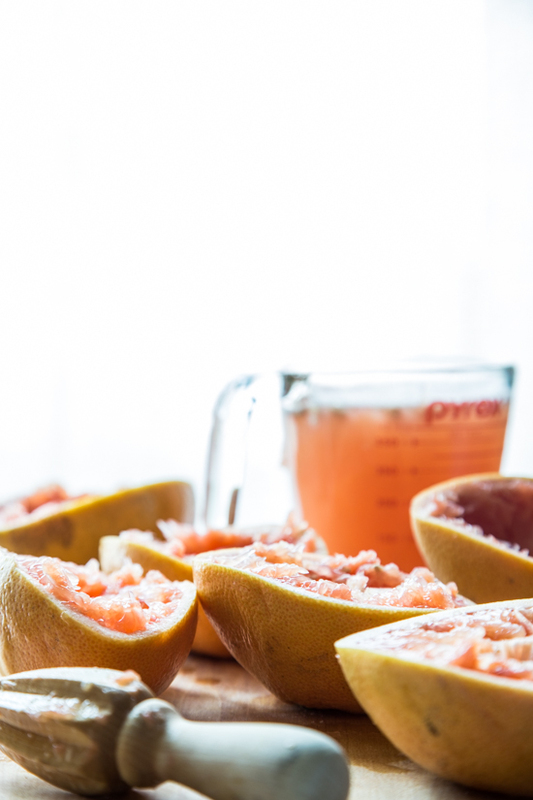 This sweet, ruby red grapefruit mimosa has “brunch” written all over it. Plus, it’s possibly the most gorgeous cocktail I’ve made in a while. The blushing pinkish peach color is to die for. And by “simple” I mean it. It’s only three ingredients. That’s it, I promise. It’s extremely quick, but it tastes heavenly. I seem to have a thing with simple cocktails. After all, my spiked caramel apple cider is incredible and it only has two ingredients. What can I say? As much as I like festive cocktails, the ones that take next to no effort, but taste like a million bucks are my favorites. Speaking of simple drinks, have you seen the new Smirnoff Deconstructed Martini commercial? Oh my goodness, it makes me giggle just thinking about it. If I could get away with calling this a Steampunk Reboot of a Mimosa (because it’s hilarious), I totally would, but I doubt that bearded fella would agree with me. I a bit more herb curating to do and, come to think of it, my sage could use a little more slapping. But who needs slapped sage when you’ve got Champagne? 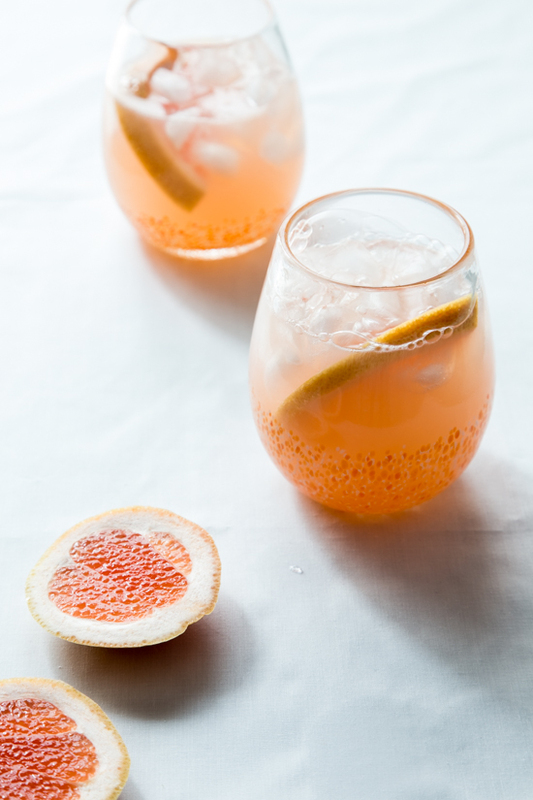 So, when you’re planning your Easter or Mother’s Day brunch menus, be sure to add these simple and sweet grapefruit mimosas. You’ll be a brunch rockstar! Fill a glass with ice. Pour grapefruit juice and St. Germain over the ice and stir. Top with chilled Champagne and garnish with a slice of grapefruit. Enjoy! I like the twist on a traditional mimosa, more my speed, and I always love something with bubbles! Great video as well! Thanks so much, Denise! It’s amazing how fast I’m feeling more comfortable with this style of video. You are so sweet, my dear!! We should meet for some mimosas sometime! Steampunk Reboot all the way, girl! These look amazing! Lovely as always! I truly adore all your videos. You’re such a natural at making them and loved seeing you in this one. Guess what I’ll be making for our Mother’s Day brunch? I know everyone will love this and I can’t wait to try it. Thanks for the beautiful recipe! You’re so sweet, Kate, thank you! I know you will love these! I juiced a bunch of grapefruits on Easter and took it over, along with the St. Germain to my folks house. My dad picked up a bottle of champagne and we got to have one. I want a repeat on Mother’s Day! I hope you love them! Great video as well! thanks you. You are amazing – Thanks so much! These look amazing! Thanks Emily! I agree, mimosas are a must for brunch! Thanks for the beautiful recipe!